I’m sure by now that many of you know about all the toxic chemicals in our environment. Maybe you found out about this issue by being touched by illness, either personally or through someone else close to you. Or perhaps you learned about it when you had your first child and were researching about what you should do to keep your baby healthy. Once this education begins, as I have heard so many times, you are astounded to find out how pervasive and insidious these harmful chemicals are. They’re found everywhere – in vehicle exhaust, second hand smoke, food etc… making us sick. We all have a limit of how much of these chemicals our bodies can tolerate. It is known in healthcare as “bodyburden” and I am not going to bore/scare you with stats. The bottom line is that the toxics you can control – the ones entering your home/place of work — you should really avoid. Think about balance. If you work in a print shop or dry-cleaner for instance, your home should be pristine; no mattresses with flame retardants, teflon cookware or cleaningproducts with formaldehyde and you should also be buying organic, non GMO food as much as possible. Personal care products have a big impact too. All the chemicals in the products we slather and spray on our bodies everyday end up building up in our systems along with all the rest. I am very proud to be on the cabinet of Environmental Defence’s Just Beautiful Campaign http://environmentaldefence.ca/issues/just-beautiful/cabinet/bphillips because this call to action is hopefully improving people’s lives. From the BPA ban in plastic bottles to the phthalate ban children’s toys, ED has been at the forefront of the battle against toxics in Canada. In the personal care product sector, through the JustBeautifulPledge companies, worldPRODUCTS included, Canadians have a great resource to explore healthy alternatives that are free from the toxic ten chemicals – present in most mass market brands. 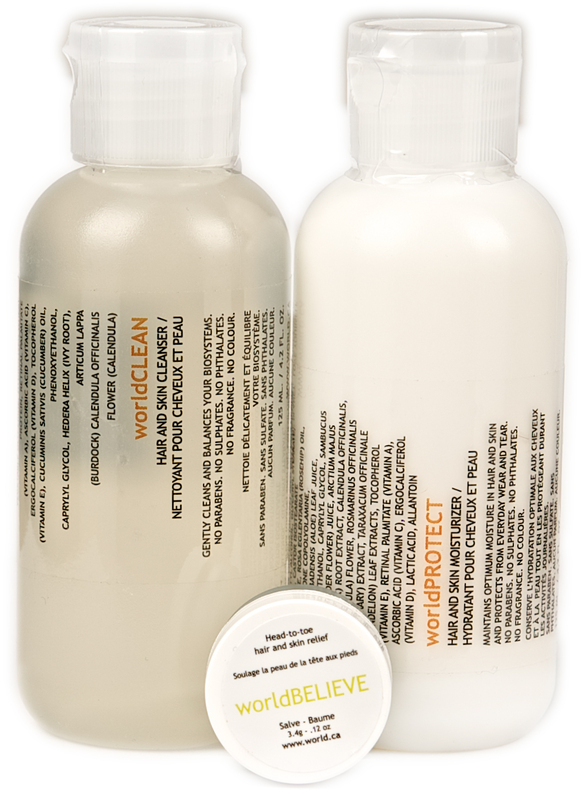 With worldPRODUCTS, you have a luxury line that encourages a minimal approach to personal care – gentle and effective. Knowledge is not only power, but health, so arm yourself with the information you need to navigate our toxic world. Follow Brian Phillips on Twitter.